Singin In The Rain, Jr. 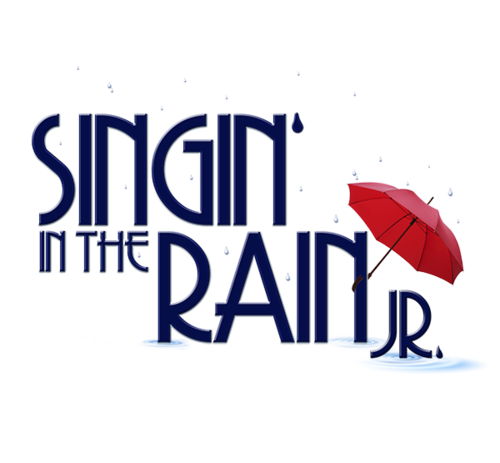 The Pathway Players will perform an adaptation of this 1952 American musical-romantic comedy. When : January 9th-10:30 a.m. & 1:30 p.m.
January 10th- 10:30 a.m. & 1:30 p.m.
FORE! the kids has grown to become one of Pathway’s largest fund-raising events. C’Vena enrolled at Pathway six years ago, in January of 2012. She is now 15 and a student in the Upper School Program. She participates in the Career Education Program and has had work experiences at the school’s Hot Spot Café, food service in the school cafeteria and the shredding department. This school year her work has expanded to off-campus jobs, working at Habitat for Humanity one day per week and Marshalls department store bi-weekly. 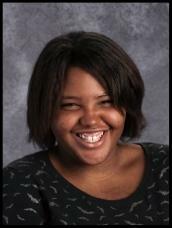 C’Vena displays good attention to detail and is cooperative with both staff and peers on the work site. C’Vena enthusiastically participates in the classroom and received second honors in academics the first semester of this school year. She is seen as a leader by her peers and will often reach out to those experiencing a difficult day by offering encouragement and help to cope. ﻿C’Vena, we are so proud of your accomplishments and are looking forward to watching you continue on this path to success! Ms. Sullivan began her career at Pathway over 10 years ago as a counselor in Pathway’s residential program. Several years after the program closed, in 2015, she returned to Pathway as an Instructional Coordinator in the Emotional Support Program. 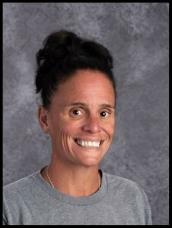 Her current position as a Behavior Interventionist, gives her opportunity to support positive behavior and enable students to make smart decisions and value a respectful school environment. Her interaction with the students is described as firm, calm and courteous. Kris also volunteers her time to support Pathway events outside of the typical school day. She leads a “Boot Camp” program for interested staff, once weekly after school. Those who participate have the benefit of working with an instructor who truly cares and will encourage the group to push as far as they can. While Kris is passionate about health and fitness, she reportedly also enjoys baking at home and brings in the treats to share! Ms. Sullivan was the driving force behind Pathway’s first annual 5K Race/1 mile Fun Run that was held this past October. She approached Mrs. Robertson with this idea and when the Development Team decided to put the event in motion, Ms. Sullivan was asked to be the chairperson for the Race. She enthusiastically agreed and recruited Ms. Jeffers to Co-Chair. Together they worked diligently with other committee members and in spite of rain on the day of the race, the event was a huge success! ﻿Ms. Sullivan’s positive energy is contagious. We are all glad she decided to return to Pathway and offer her many talents to benefit both Pathway students and staff. 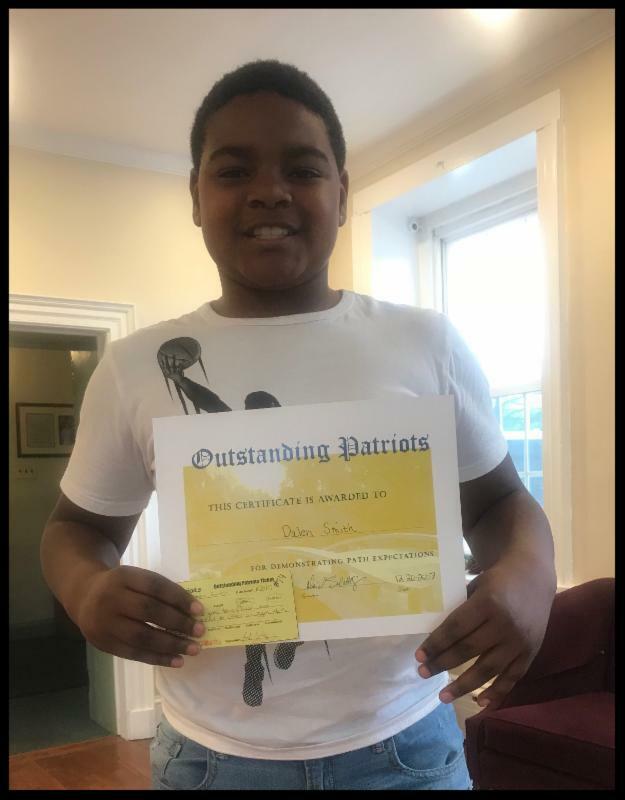 In an effort to promote leadership, make good choices, and encourage behavior accountability, Ms. Greene and Ms. Farrar proposed a student mentoring program with the Upper School Program (USP) and the Emotional Support Program (ESP). The mentoring program was established as an optional activity for all students and began in early December. The participating ESP students were required to complete their daily expectations (positive behavior, completion of assignments, appropriate interactions, etc. ), and they could earn 8 th period and/or homeroom time at the end of the day with a pre-selected student from the USP. The older students who demonstrated interest in the mentor program were members of Ms. Greene’s homeroom and social skills classes. It was considered a privilege, an earned incentive, to be a mentor for the day. 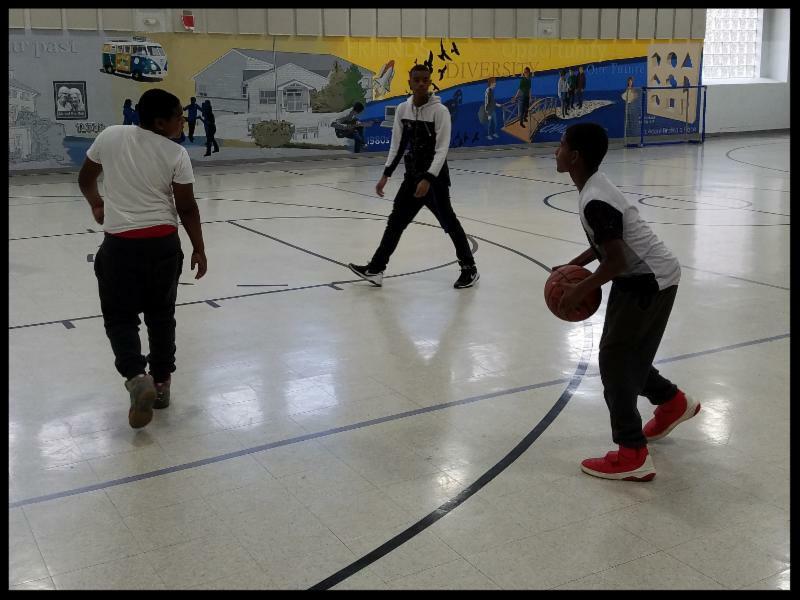 The mentor activities provided ‘quality time’ together while playing basketball, taking a walk, playing a board game, participating in arts and crafts, etc. To summarize the success for the day, each student contributes to the creation of a ‘mentor mural’ with hand prints of those participating. Every time they work together they are asked to hang a hand print on the wall with their names on it. They include the activity they did together and the positive interaction they received from the day’s session. Thank you Ms. Greene and Ms. Farrer for developing the proposal and implementing this new program. The positive impact it is having is steadily growing. Congratulations to those students participating and showing kindness and respect that truly makes a difference! Office of Vocational Rehabilitation (OVR) Visits Pathway’s Upper School Functional Academics Program. In order to assist youth with disabilities better prepare for their transition in to the world of work and independence, The Office of Vocational Rehabilitation (OVR) has started a new initiative called “Early Reach.” This outreach initiative is intended to connect with youth with disabilities and their families to promote successful outcomes by increasing awareness of OVR services and the benefits of early career planning. With 3 students from Ms. Ziegler’s class scheduled to graduate this coming June, she decided to connect with OVR and schedule a visit. 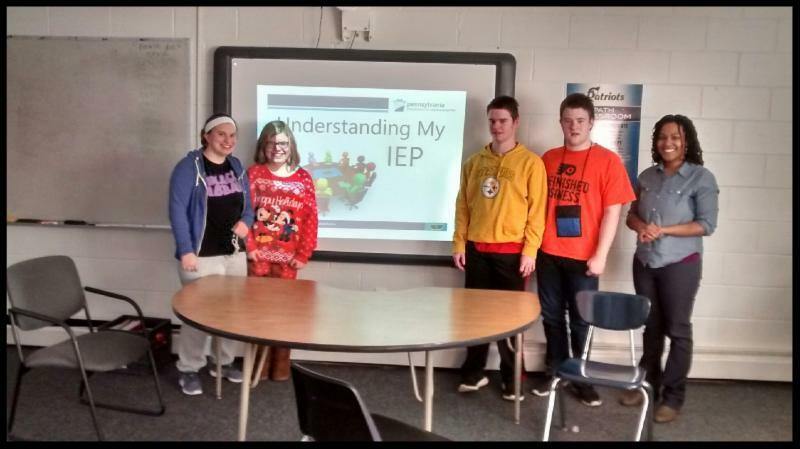 On December 13 th OVR representative, Angelica Webster, gave a presentation to Ms. Ziegler’s Upper School Functional Academics class on Disability Awareness and the reason students have an IEP to guide their education. The discussion emphasized self-advocacy and the importance of being aware of the individual IEP goals. The presentation was very well received. The students were attentive, engaged and excited to learn about the services available to them after graduation. Questions about the OVR Early Reach Initiative can be directed to Michele Bornman at 717-787-6005 or mbornman@pa.gov. Sometimes it is not just the students who are rewarded when the outcome is improved behavior. We anticipated that the creation of Pathway’s Positive Behavior Intervention & Support framework would reinforce behavior that helps students to be available for learning. We did not anticipate or fully appreciate the impact that this system would have on staff too. This is really more about creating an environment, even a culture that is respectful of individual differences and helping students to see themselves and others as having value. This means that we can’t simply impose a behavioral system upon our students, but that we need to live the same value system, speak the same language, and demonstrate respect that we hope to receive. ﻿As we continue to look for behavior that is valued in today’s world and worthy of respect let’s take time to celebrate each other and our school. Make something positive happen today! The Pathway School's 2016-2017 Annual Report is available to view! Please take a few minutes to review Pathway's accomplishments.